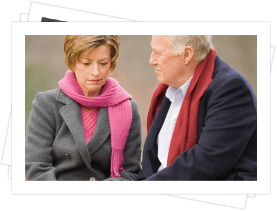 Your initial call to us will allow us to inquire about any prearrangements and gather the information we need to transport your loved one to the funeral home, but you can also feel free to ask any questions you may have and resolve any of your initial concerns. At later meetings you'll be able to discuss your arrangements in greater detail, but we're always available in your time of need to provide emotional support, a sympathetic ear, and careful guidance. When you meet with a member of our family and staff to discuss your arrangements, we'll first provide you with a general price list to give you a basic idea of what our services cost. 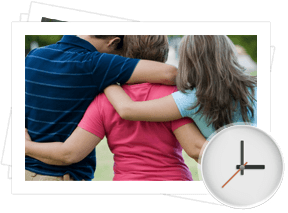 We'll then walk you through the entire arrangement process, and ask you about your loved one to gain an understanding of the person the services will honor. Use this time to communicate your ideas and preferences, share your loved one's life story, revisit memories and highlight their accomplishments. Our professionals will use this information to guide you in the creation of a personalized, meaningful celebration of your loved one's unique journey. To help express your loved one's personality and life story, feel free to bring any memorabilia - like photos, music, crafts, or treasured items - that might give us a better understanding of how you envision paying tribute to your loved one. Even if you're not sure how a particular aspect of their life might be incorporated, don't hesitate to ask; we can often make unique suggestions on a way to add that element as a special touch to their service.